Whether we realize it or not, the way we handle money is primarily a result of a template, set in childhood and reinforced by our parents. In other words, we tend to spend and save money much like our parents did. This financial blueprint is a strong force in our lives, and if it’s not a fiscally strong one, it can take a moment of crisis to overcome it. This is my story. My mother was widowed at the age of 42, with four children and no idea how much money was coming in or where it was all going. When I was 18, she told me tearfully one day that she and my father had never lived with a budget. He just made money every month and they paid the bills. There always seemed to be enough money. She was terrified! Even though I watched her go through this experience, I didn’t live with a written budget (or any spending plan) until I was well into my 20’s. I worked with the only blueprint I had ever known — much like my parents, I just made money and hoped that there would be enough to go around. Two moments of terror stand out in my mind. The first, when I was 20. I had moved out of my mother’s home and was living with two roommates. One evening, my bank account dipped to just $25 and the ATM would not let me withdraw any money. My gas tank was nearly empty. I prayed every day on the way to work that week that I would make it there and back without the car dying. I got paid at 4pm, and by 4:15pm I was at the gas station! The second incident occurred when I was 24. My husband and I had been married for just two months and our checkbook indicated an almost zero balance. My stomach plummeted into the pit of my stomach. My mind reeled as I realized we had spent nearly every penny of our wedding cash gifts in just a few weeks. If we didn’t make immediate changes, we would be in big trouble in a very short time. I worked at a Christian radio station and a man named Larry Burkett had just begun a daily program called “Money Matters.” It was the first generation of live Christian money management call-in programs. I listened carefully and began to implement Larry Burkett’s suggestions. Within weeks, I had plugged into some great authors and teachers. I read a lot of books. I figured out what ideas I could implement right away, and created a list of ideas to consider for the future. I learned to cook from scratch and how to track my expenses. We focused on one or two areas at a time. When we had those areas streamlined and under control, we move on to another couple of areas. 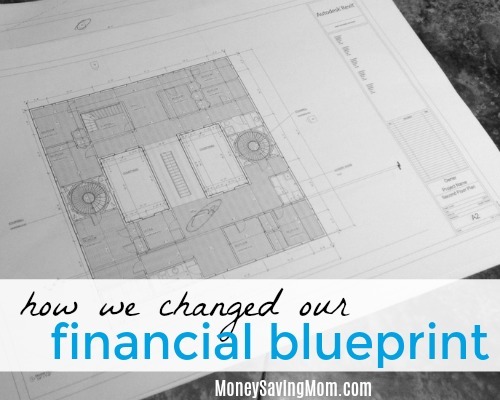 Over the next thirty years, we rewrote our family’s financial blueprint. We gained financial traction as we lived within our means. Although we made a salary which was significantly under the national median income, we paid off our first mortgage in five years. We brought up four sons in our tiny two bedroom bungalow, while saving money to pay cash for our second home. I won’t tell you that it was easy… because it wasn’t! At times the road seemed long. But, now I see my 20 and 22 year old sons living on a written budget, paying cash for automobiles, planning for the future, and sharing financial principles with their peers. I realize that our change wasn’t just for us. It was also for them! I’m Hope Ware, married to Larry since 1988. We’ve raised 4 amazing sons debt-free on an income which averaged under the national median. I blog over at Under the Median. In my spare time I teach in the high school department at our local homeschool co-op and I sing second soprano in a semi-professional ensemble.